Every other year Hmong Americans gather for one of the largest events in the Hmong community. 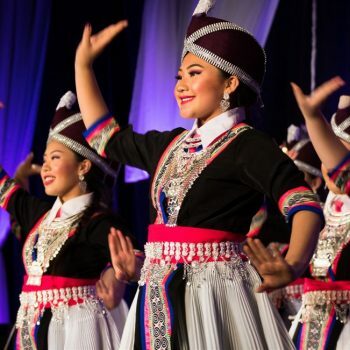 The Hmong National Development Conference, or HNDC for short, attracts more than 1,000 attendees from across the country who meet and share their knowledge and experiences and rekindle their pride in their cultural heritage. Ambitious college students brush elbows with respected elders. Writers, painters, dancers, and musicians share stories with bankers, entrepreneurs, and academics. And community activists and concerned citizens swap perspectives with politicians and policymakers. While HNDC draws a wide variety of attendees from an array of sectors, there is a focus on attracting college students. In fact, 38 percent of 2017 conference-goers were between the ages of 18 and 25. The biennial event is held in cities across the U.S. with large Hmong populations. The upcoming 19th HNDC will be held in San Jose, California, on April 19-21, 2019, at the DoubleTree by Hilton Hotel. Seng Vang, a lecturer at the University of California, Merced and California State University, Stanislaus and the managing editor of the Hmong American Experience, is helping to plan the 2019 conference. A long-time attendee and organizer of HNDC, Seng said that the first conference he attended in 2001 was a life-changing experience because of all the Hmong professionals he met. “I also met many other Hmong college students who would eventually become lifelong friends,” he noted. Inspired by the conference, Seng became an intern with HND at the Washington DC office, where he helped organize a conference in Milwaukee and then went on to serve on the HND board for two years. His connection with the conference resumed in 2013 when he served as the co-chair of the Fresno, California, conference and led the local planning committee. “This is the only conference where you have Hmong leaders in education, business, and politics come together to share their experiences with young people who are hungry for knowledge and want to learn,” Seng stressed. Appropriately, the theme of this HND conference is “Be Bold – Unleash Your Potential!” “It was chosen to encourage current and future leaders to boldly step forward in pursuit of their goals, while modeling the culture of resilience and integrity that has been the hallmark of Hmong Americans,” explained HND President and CEO Bao Vang. Conference activities will include motivational plenary speeches, in-depth panel discussions, and numerous workshops from which to choose. There will also be a leadership banquet with an award ceremony recognizing exceptional Hmong Student Associations and the top changemakers in the Hmong American community. But best of all may be the conference’s Friday night performance. Organizers are hoping to recruit the Lor brothers – a.k.a. “Twinjaz” – of the hugely popular Kinjaz dance troupe. The California-based duo is expected to perform their gravity-defying dance moves and deliver equally moving testimonials. “We are trying new things and bringing exciting speakers who are doing bold and innovative things in the community,” Seng said about next April’s HNDC. “It’s always a space where I get rejuvenated by the positive energy of everyone,” he concluded, hinting at what attendees can expect from the conference. You can experience that positive energy for yourself by registering for the conference at www.hndinc.org. There are also opportunities to for businesses and organizations to exhibit and advertise at the conference. Visit the HND website or their Facebook page at www.facebook.com/HmongNationalDevelopment/ for more information. 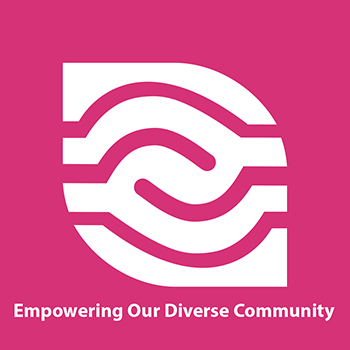 Founded in 1993, Hmong National Development, Inc. (HND) is a national 501(c)(3) nonprofit organization that strives to empower the Hmong community to achieve prosperity and equality through education, research, advocacy and leadership development. HND provides Hmong nonprofits with capacity-building tools and technical assistance, while also advocating for legislation that positively impacts our communities and cultivating leadership in youth through internship and empowerment programs.